The two defence corridors are expected to generate 3.5 lakh jobs; 2.5 lakh in Uttar Pradesh, and one lakh in Tamil Nadu at various stages of the supply chain, said defence minister Nirmala Sitharaman in a Facebook post. 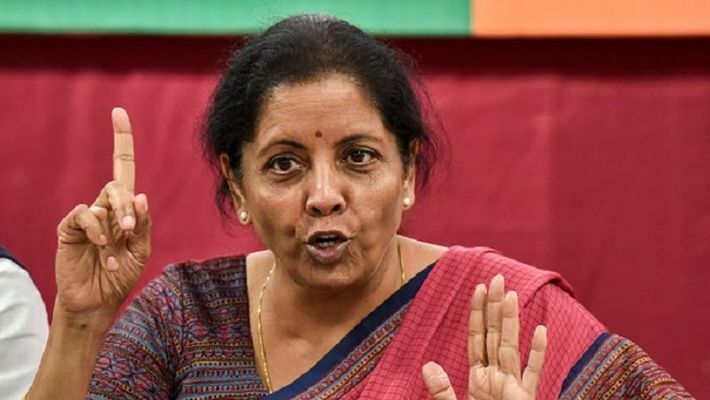 New Delhi: Defence Minister Nirmala Sitharaman on Sunday said that the defence corridors in Uttar Pradesh and Tamil Nadu would create 3.5 lakh jobs at their various stages of a supply chain. "The two defence corridors are expected to generate 3.5 lakh jobs-2.5 lakh in Uttar Pradesh, and one lakh in Tamil Nadu at various stages of the supply chain," said Sitharaman in a Facebook post. According to her, investments worth Rs 3,200 crore have already been announced for Tamil Nadu defence corridor, while a defence investors' cell has been set up to ensure speedy development of the corridor in Uttar Pradesh. "Make in India, the big-ticket policy launched by Prime Minister Narendra Modi, will turn the nation into a manufacturing hub," she said. "NDA government has promoted the Make in India, especially in defence sector to invigorate the indigenous industry," she said. "A comprehensive approach has been adopted where policy changes and on-ground programmes have simultaneous been implemented with a long-term vision to convert India from a defence importer into a defence exporter," she said. The Defence Procurement Policy 2016 has introduced many changes that focus on giving priority to the procurements from Indian manufacturers and service providers. Accordingly, the Central government has taken steps to develop infrastructure and build capacity in various locations across the nation. "Small businessmen often complain that they still run from pillar to post and wait for days to test components and get them certified before they supply to the assembling units. Defence corridor attempts to change this status quo and encourage private players to venture into the defence sector," said Sitharaman.